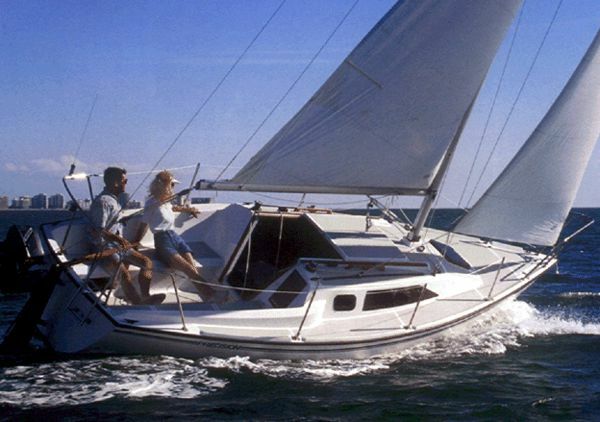 With just one hull and a ballast keel, the Quant 23 showed she can ”fly”. Her secret is a combination of technology and appendages. 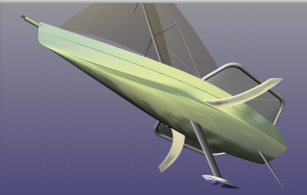 Together with the help of a rudder that's been fitted with winglets, V-shaped boards produce the lift necessary to raise the hull clear of the surface from a certain speed on. For more than 10 years, Australian designer Hugh Welbourn has worked on an innovative DSS (Dynamic Stability System) technology. 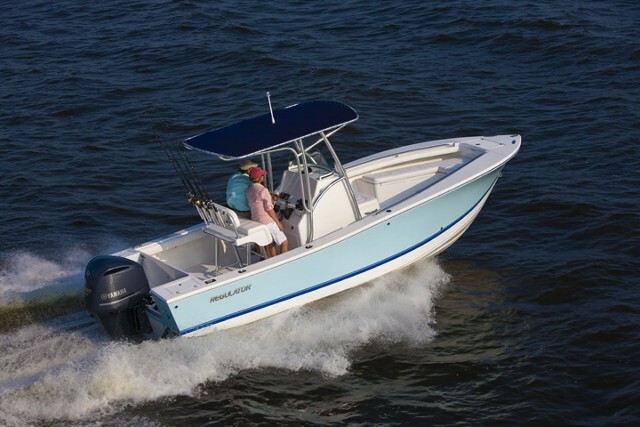 Simplified, it works like this: Horizontal boards that are deployed laterally on each side of the hull provide improved lift and righting moment. 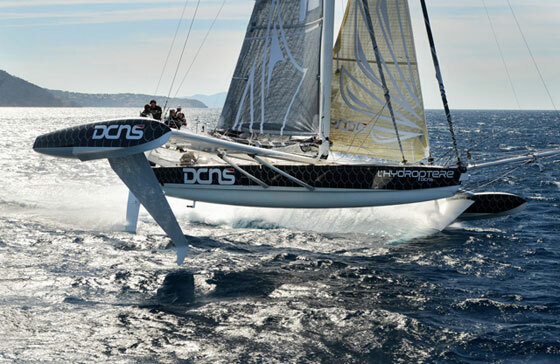 Just like a canting keel, the DSS needs a lot less weight to keep a boat upright and stable. Less weight also means more speed, especially off the breeze. 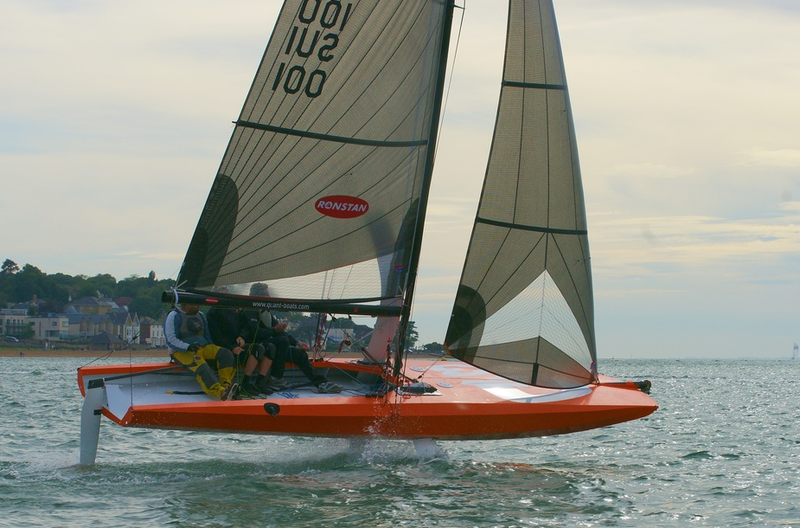 See the video below, which shows a non-foiling variant, the Quant 28, which was introduced a couple of years ago. 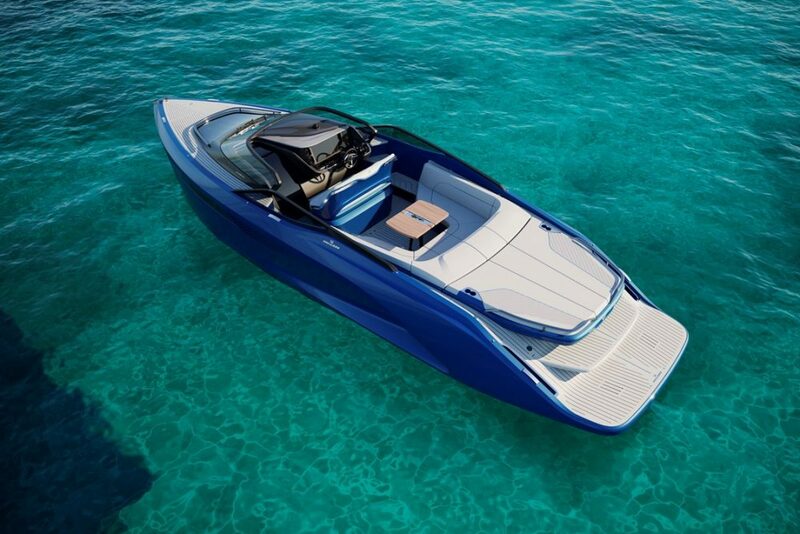 In cooperation with Quant Boats and Infinity Yachts in Monte Carlo, Welbourn got DSS ready for production boats. But now there is a new wrinkle to DSS, and that’s the vertical lift. It is derived from flexible profiled boards that have a V-shape and get deployed to leeward. Together with the help of a rudder fitted with winglets, these boards lift the hull clear of the surface above a certain speed. A similar system is being tested in the IMOCA Open 60 class, which still uses canting ballast. These boats are not expected to fully foil, but they will get a partial lift out of the water with increased righting moment and speed. Aeppli said it is not yet clear whether the French interpretation of this technology infringes upon the worldwide DSS patent. 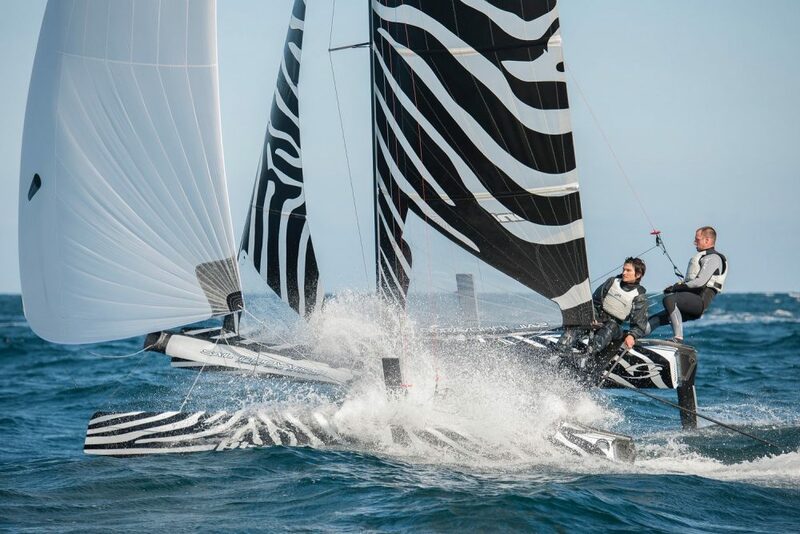 This Quant has a scow hull that's 23’ 3“ long and has a maximum beam of 6’ 5” to provide high initial stability during maneuvering and before “takeoff”. This Quant has a scow hull that is 23’3” long with a maximum beam of 6’ 5”, so it has good initial stability during maneuvering and before “takeoff.” The boat, which is built from fiberglass and epoxy with carbon reinforcements, weighs only 600 pounds all up and ready to sail. 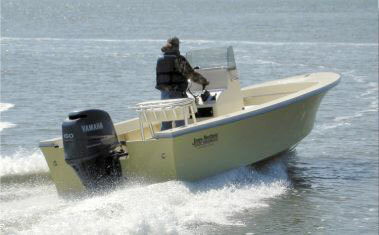 That includes the 130 pound ballast in the keel, which can be lifted with a block attached to the main halyard. 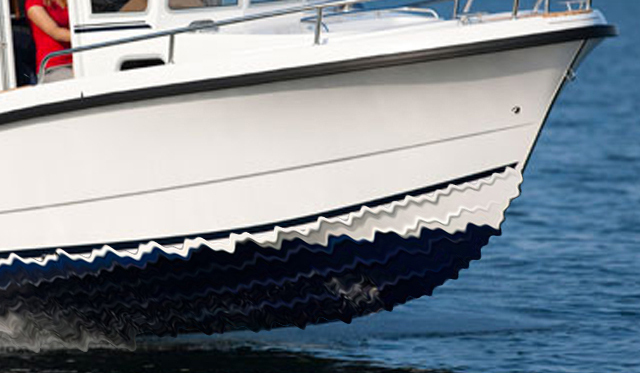 The horizontal foils can be completely removed, making the boat legal and easy to trailer and suitable for ramp launching. Following the sea trials in the UK, the boat is in Switzerland for further testing and refining with the ultimate goal being a production run. However, at this point Aeppli did not disclose details about the location or identity of the builder, or a price.